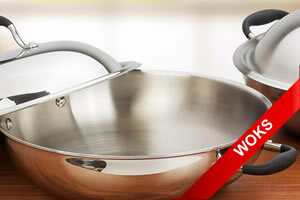 Trust our top quality saucepans to offer style, durability and practicality in the kitchen .Search our collection of saucepans, milk pans, chef pans and other similar types of cookware. 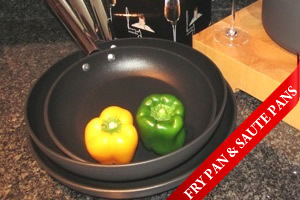 We offer an exciting range of paella pans, two-handled pans and woks in stainless steel, aluminum, titanium and diamond reinforced non-stick. 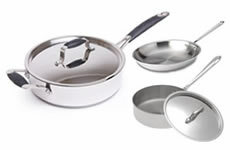 We offer a wide selection of frying pans, saute pans, omelet and crepe pans of different sizes and in a range of materials and non-stick coatings. 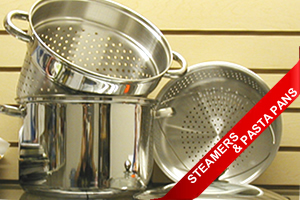 We offer you an extensive range of steamers, asparagus pots and pasta cookers in traditional stainless steel. 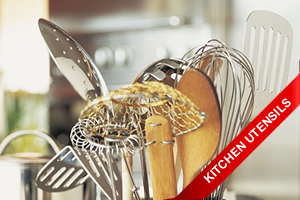 A superb collection of kitchen utensils and gadgets ranging from asparagus peelers to zesters via ballers, choppers, crushers, corers, mashers, peelers, slicers, stoners, strainers and many more. 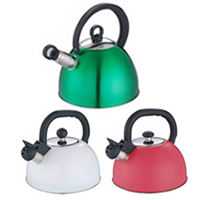 A COLOURFUL, FUN, PRACTICAL ADDITION TO YOUR KITCHEN!! 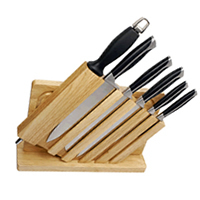 A complete selection of Kitchen Knives & Knife Sets, bring innovative excellence to a cutting edge line of professional cutlery. Hand-crafted to the most exacting standards, these knives will be the best and last you'll ever buy. The blade stays sharp and is stain and rust resistant. 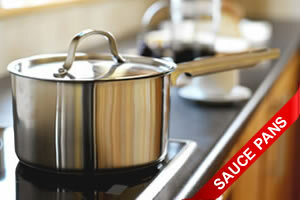 The innovative glass finished edge provides a smooth edge, perfectly angled for a cleaner, sharper cut. 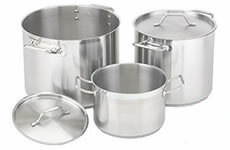 Strawjerry is the manufacturer and exporter of high quality products such as cookware and kitchen accessories; our products include casseroles and stockpots, frying and sauté pans, sauce pans, woks, pasta cookers. 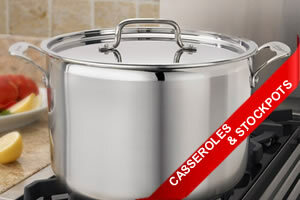 We also provide kitchen utensils and gadgets including table ware such as stainless steel cutlery sets.